Taking part in the iGEM competition can be a bit overwhelming at first. 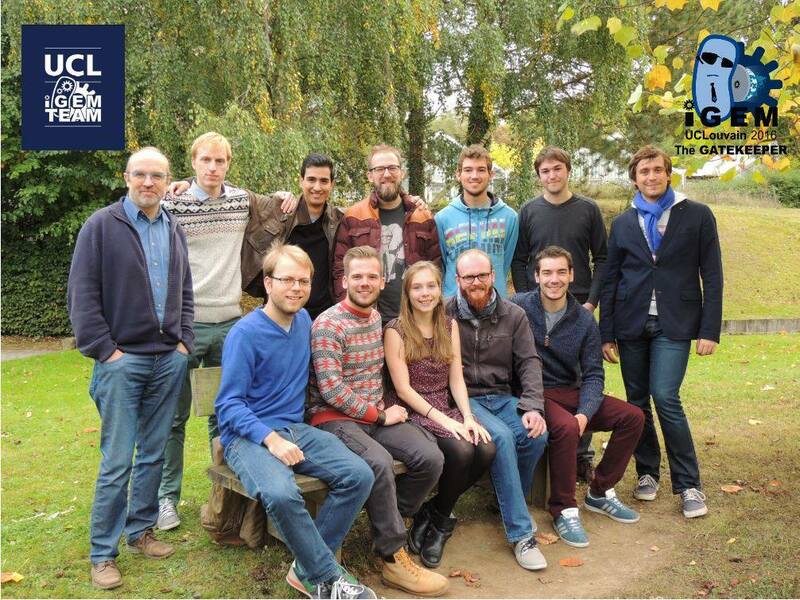 That is why we helped out our compatriots from Louvain-La-Neuve, who are participating for the first time. We reviewed each other's work, and provided useful input on each other's projects. Also, in the last week before the big Jamboree, we met up to review and discuss about each other's presentation and posters. 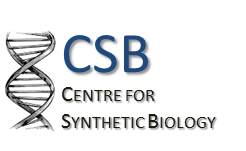 Apart from helping each other with the projects, we are also planning to organize a conference on synthetic biology together. 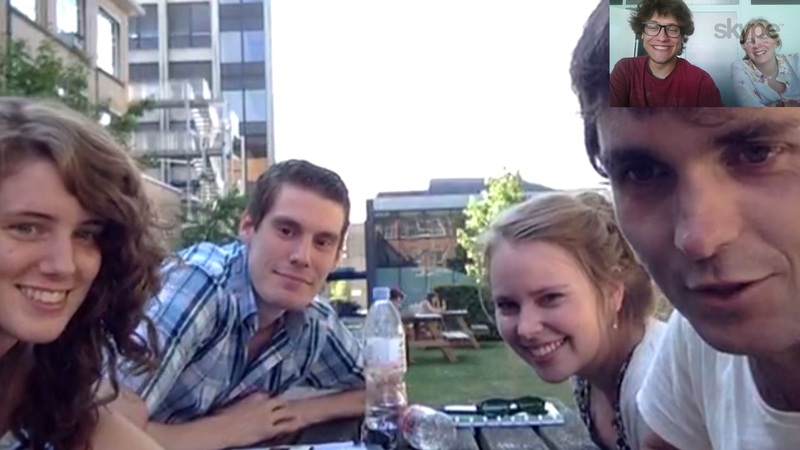 In this way we can present our projects to the Belgian public, and educate them about iGEM. 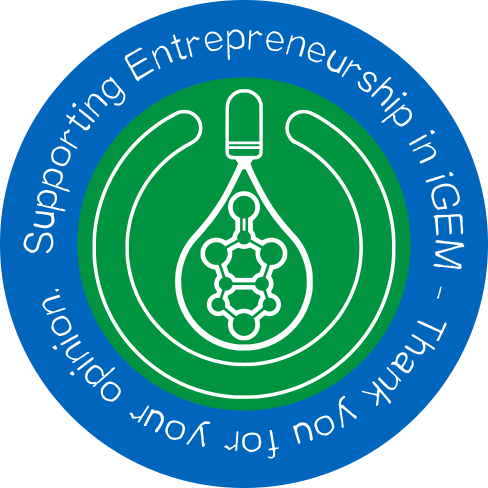 Who knows, maybe we'll inspire a new generation students who will take part in the iGEM competition with their own, unique projects! Marie Matos from the EPFL iGEM team contacted us in September if we would be interested in a collaboration through an interview on Skype. Always interested in the projects of the other teams, this gave us an ideal opportunity to gain information on their project by the team members themselves. We also had a chance to talk about our own project, with a subteam consisting of three of our master students, and our advisor. 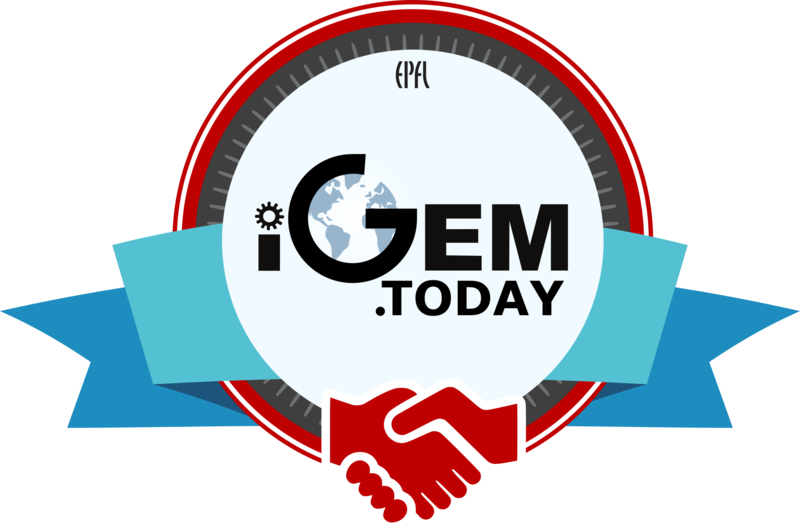 Not only was this interview a lot of fun to do, and did we meet two new awesome people, they also published the interview on their igem.today site, where we are team of the week of 21 September. Under this text, you can see a picture of both of our teams during the Skype call, and our participation badge. 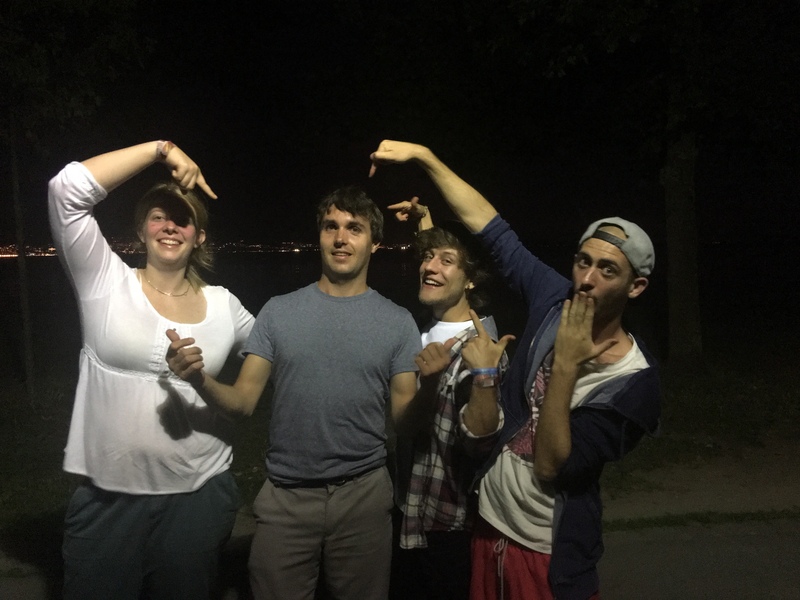 In the week of 29 August, our advisor Steven went to Lausanne to meet up with EPFL iGEM team. They had a barbecue together on which both teams elaborated on their projects. Steven had a lovely day, with lots of new insights on how we can improve dewpal (which can be found under Human Practices). He also learned many new things about synthetic biology, with which he was not familiar. This sparked an interest in him to start exploring this, for him, new field, and even looked into taking a class on this subject. The iGEM team of Göttingen is working on increasing the production of vitamin B12. This vitamin is invovled in metabolic functions in all organisms, and thus an essential nutrient. We completed their survey on the general understanding of vitamin B12, and its importance in living organism. The iGEM team of Virginia are designing a novel biocontainment mechanism based on leucyl tRNA-synthetase. For their human practices, they created a survey around the awareness regarding biocontainment in other iGEM teams. Our wetlab team gladly participated, and the results can be found here. The iGEM team of Paris-Saclay is studying the effect of DNA-topology on gene expression. However, as part of their Human Practices, they send out a survey about responsible research and innovation. We filled it in, and you can see what they learned here. The iGEM team of Munich are trying to develop an innovative way to print organic tissue using "bioink". For their Human Practices project, they wanted to investigate the enabling factors in biotechnology. To help them, we filled in their survey. Their findings can be found here. The iGEM team from Groningen are working on a bacterial decryption system to safely store information. For their Human Practices, they performed a survey to understand the current perception around digital and physical storage of information. 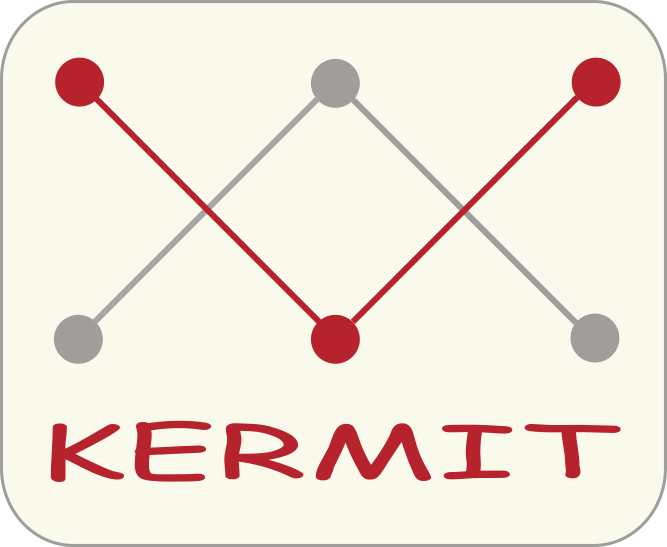 Their results are available here.